As everyone is thinking about spring cleaning, please also start to think about our annual sixth grade auction. Before you get rid of all of those treasures consider donating some of them to the sixth grade for our auction. This is such a great event for our kids and the culmination of our incentive program. We try to make this event as exciting as possible for the students. Not only to have some fun, but also to reward them for their hard work all year long! We are always taking donations towards the auction and are not picky at all about the items we receive. 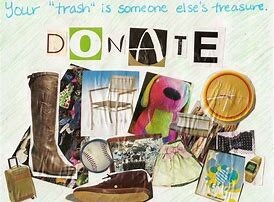 We can use stuffed animals, games, toys, or any other items you think a sixth grader would like. If you are interested in donating any items, we would be eager to take them off your hands. Please send any of your donations to the middle school, specifically room 113.